We would love to hear from you! For any enquiries on one of our properties or for any other information you might need, please use the form below and we will get back to you. When I went to the London Olympics 10 years later, I was told to go and see the popup bar on the roof of Selfridges. I almost missed my plane getting there, and was unimpressed by what greeted me, but I remembered how inspired I’d been about the beach in Paris. 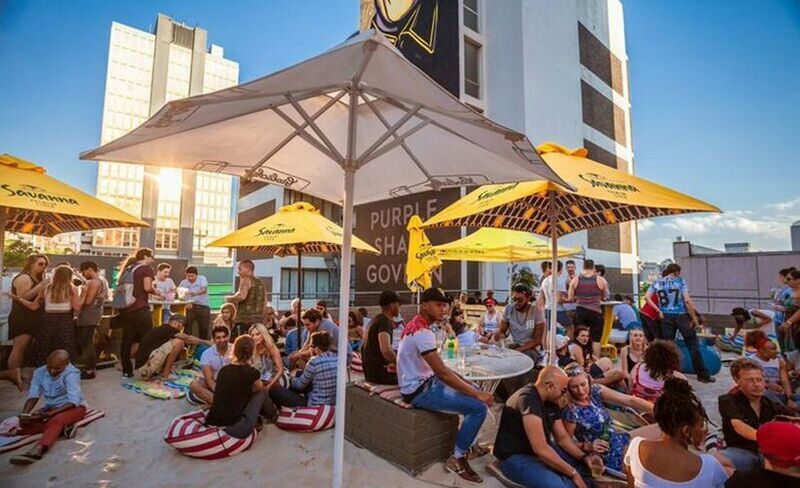 The two ideas just came together and by the time I’d arrived home in Johannesburg, the idea of a rooftop beach was born. 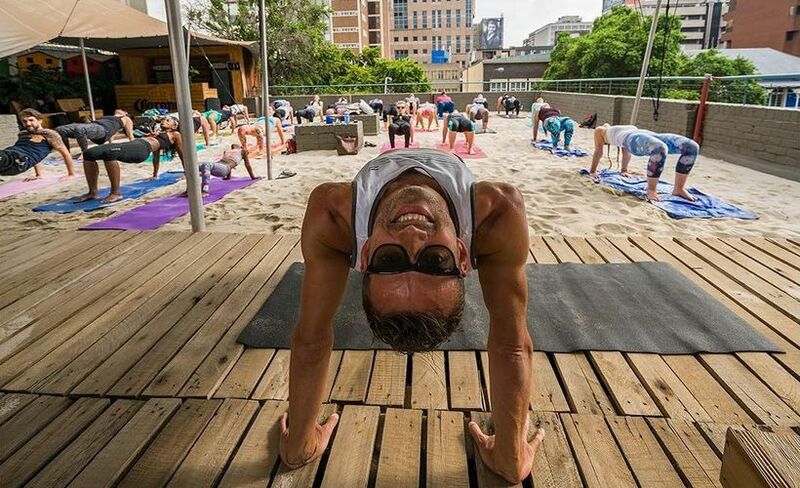 The Beach is used as a pop-up venue for yoga and bespoke events. 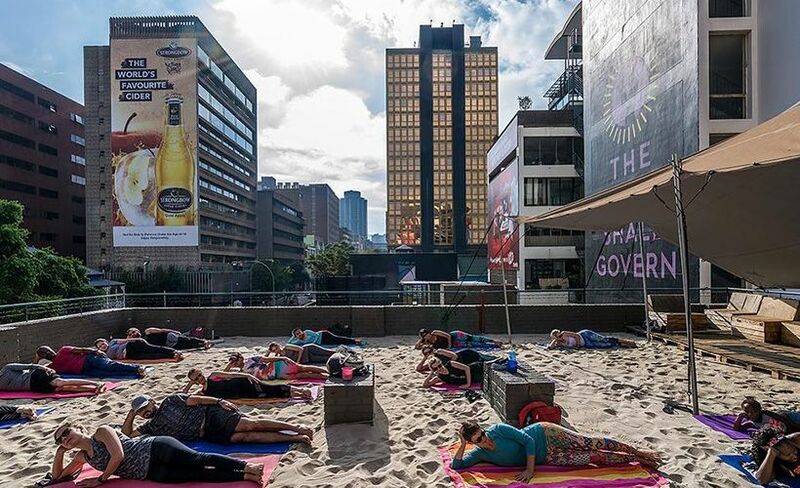 After much deliberation with my pedantic engineer, six layers of filters and three types of sand – 35 tonnes to be exact, were lifted by crane to the top of 68 Juta Street and Johannesburg had – for the first time in its history – a beach. Play specializes in the redevelopment of commercial, retail, residential and entertainment properties that are activated by people, events and ideas. As Adam continues to reinvent the neighbourhood and spread his magic, he perpetually looks for ways to make a genuine impact – on place, on community-building and ultimately, aims to infuse the environment with energy and joy to all those who take ownership of their city and want to be inspired!